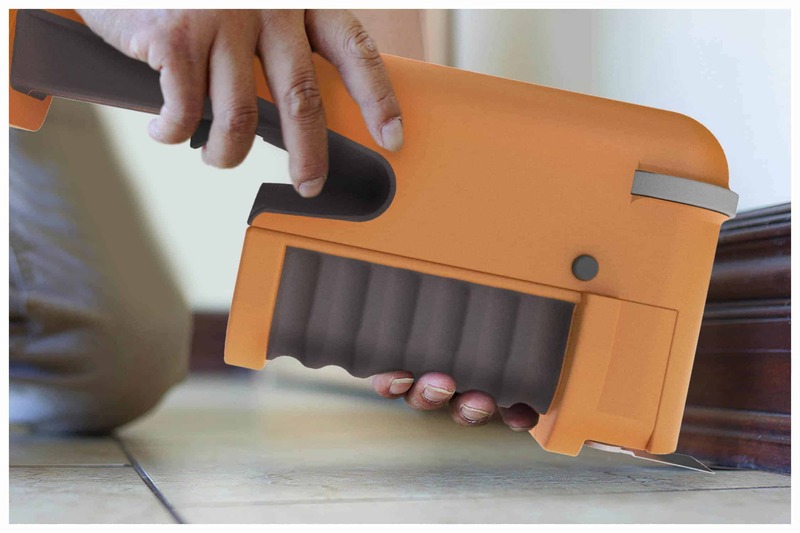 Zapper is a new take on existing oscillating saw tools aiming to simplify use and limit user error as much as possible. Adding features such as a flashlight and a digital level can aid inexperienced users in using the tool correctly, while a blade depth adjuster and rubberized brace wheel allow the user a great degree of control over the tool intended to prevent costly mistakes such as slicing into a pipe behind a wall. The goal of the project was to allow this incredibly versatile tool to accommodate as wide of a user spectrum as possible, and to streamline the process from preparing for a home improvement project to finishing it. While I conducted a few interviews with people of different ages and circumstances in my early design research, I was most intrigued by the story of Bob, a former carpenter now in his sixties and increasingly prioritizing safety when carrying out home improvement projects. His comments regarding user safety and seeking out tools that would make his projects go smoothly and efficiently stuck out to me and inspired the remainder of my process to a great degree. Many of the ergonomic and aesthetic decisions were very pragmatic in nature, as I sweated out both the major and minor details largely with paper and pen, spending two entire days sketching only handles. That said, I hoped the product would be attractive to “light” tool users and pros alike, and the visual aesthetic and dominant use of safety orange in the final design are reflective of this. I was given only 2 weeks to complete this project, including user research, making time management and efficiency the primary goal of the project. Drawing from what I had learned from my initial interviews, I broke out the sketchbook and spent much of the first week sketching as many different concepts as possible, beginning at a high level of function. While sketching, I also used this time to research a full feature set for the product and the shapes and sizes of internal components I would be working with. As I began to consider control of the depth of the blade’s cut as a primary concern to prevent as much user error as possible, I began to sketch with that as my primary design constraint, reigning in the variety of the sketches to focus in on ergonomics and function. After a few more days sketching, I was able to model an explodable version of my final design direction in Solidworks, render it out in Keyshot, and finesse the render outputs into satisfactory product images in Photoshop. The slides included here, taken from my final presentation, were laid out in InDesign. The final part of the project was presenting the process and final concept to a room full of industry professionals. While providing plenty of useful criticism and feedback, such as a suggestion to carry out more ergonomic research using models, they were generally positive about the project. To me, the project was a great exercise in how to take a project through the entire concept phase in a very abbreviated amount of time, and I was proud of how much I was able to achieve with such a wide feature set and a narrow window of time. Soon-to-graduate Industrial Design student based in the Boston area, drawing inspiration from sources as varied as postmodern sculpture and surreal cinema.